On March 2, schools across Dallas ISD will celebrate the late, great children’s author and illustrator Theodor Seuss Geisel – best known as Dr. Seuss. 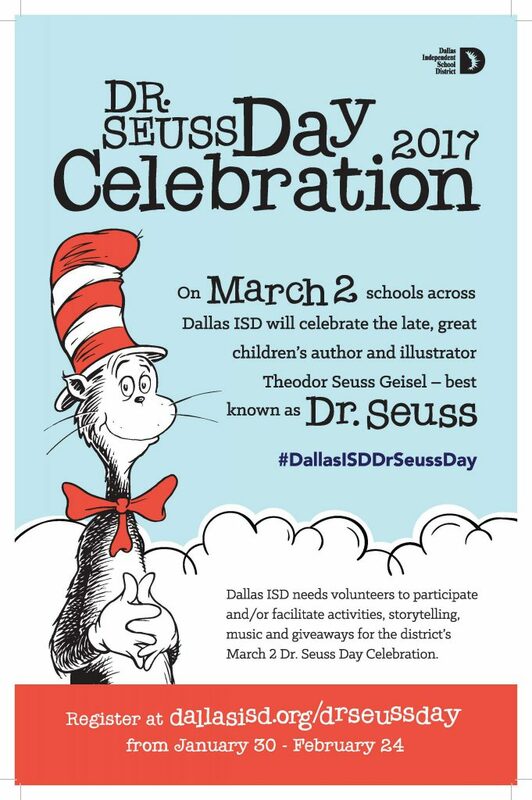 Dallas ISD needs volunteers to participate and/or facilitate activities, storytelling, music and giveaways on this great day. Those who are interested can register to volunteer by going here.